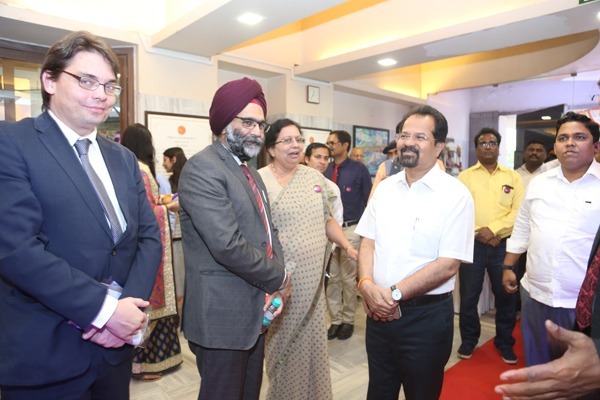 Indian Cancer Society and AstraZeneca Pharma India announced the launch of a nationwide cancer awareness initiative – Cancer Screening for Women. Under this programme, free, specialised cancer-screening will be conducted across the country for women from underprivileged families. These screening camps will focus on prevalent cancers such as oral, cervical and breast and will follow a rigorous process to link the suspect cases with health care facilities for further management. The programme also aims to raise awareness about risk factors, symptoms, removing stigma, and promoting healthy lifestyle for cancer prevention. The first screening camp to mark this launch was held on World Cancer Day, at Indian Cancer Society, Mumbai, where over 100 women were screened. As part of Phase 1 of this programme, around 4000 women beneficiaries from vulnerable section of society will be screened in identified high priority district areas of Maharashtra, Tamil Nadu, Kerala and Karnataka with the help of mobile detection units with qualified technicians across urban and rural areas. In Phase 2, the specialised screening camps will be expanded to states in North and North – East India. The entire programme will run over the coming years.